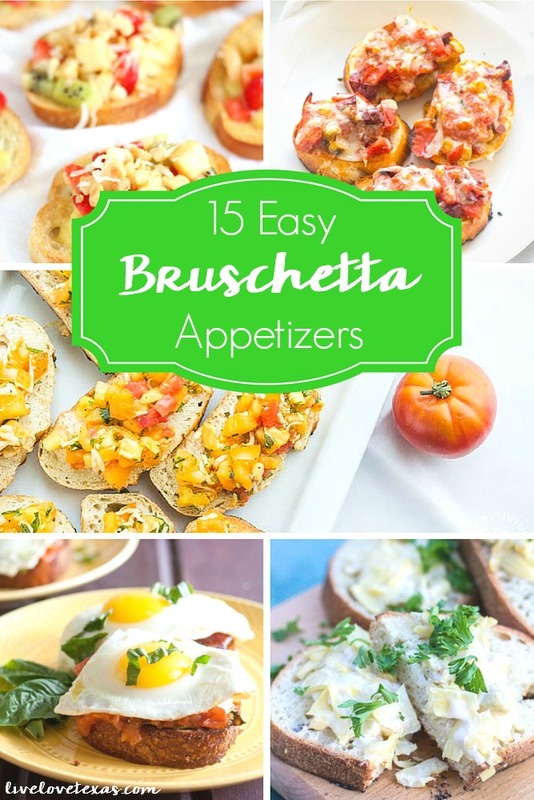 You’ll never have to stress about entertaining when you have this amazingly delicious assortment of 15 Easy Bruschetta Appetizer Recipes ready and waiting! With the weather warming up, people are going to spend more and more time entertaining. For us, that will likely be a mix of planned gatherings and impromptu get togethers. We never want to miss an opportunity to socialize with friends and family and invite them into our home. In our culture this usually involves food, but so often we can overwhelmed with the idea of having people over. What should we make? Will they like the ingredients? Are there allergies or food preferences that we don’t know about? I have to admit that sometimes being overwhelmed by these thoughts has caused me to avoid entertaining in my home altogether and just opting for going out to eat. Instead, I now keep an arsenal of similar recipes at the ready and can create an entire meal out of different variations on the same bruschetta appetizer. Fun fact: while most people pronounce this as brew-shetta, it’s actually pronounced bruˈsketta. Check out this Wikipedia article and listen for yourself! 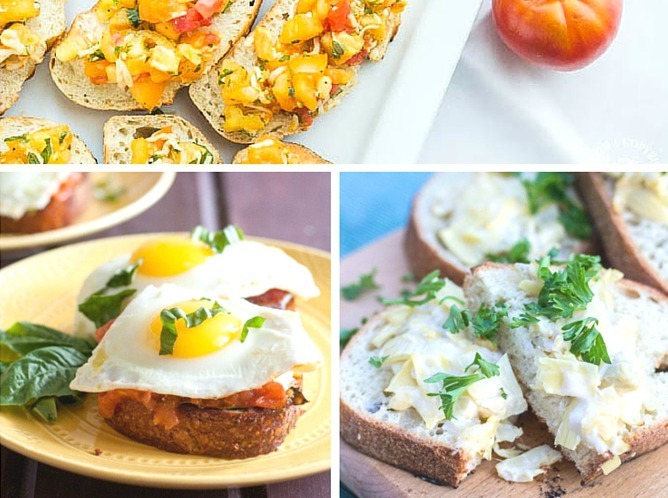 Check out these 15 Easy Bruschetta Appetizer Recipes so you can entertain with ease! Do you have any easy bruschetta appetizer recipes that are your go to for entertaining? Are you looking for more easy appetizer recipes that will please even the pickiest of eaters? Check out my Buffalo Chicken Cupcakes recipe!